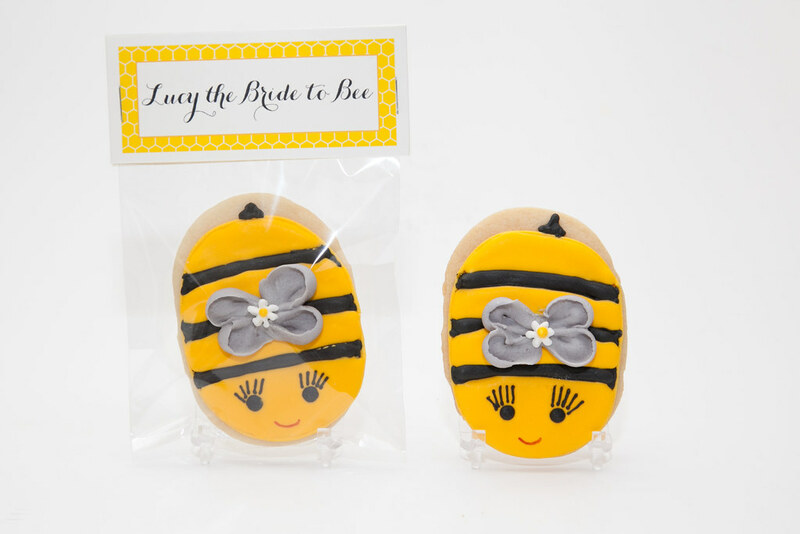 I made these bumble bee cookies for a bridal shower. 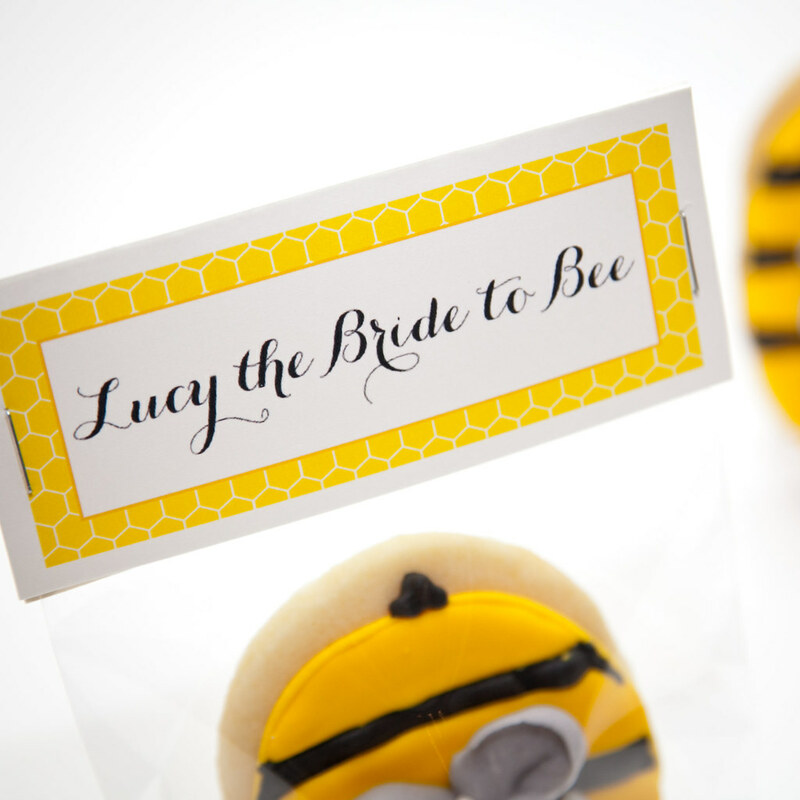 The theme of the shower was "the Bride to Bee" with a black + white with pops of yellow color scheme. I'd never heard of that idea before but immediately loved it! 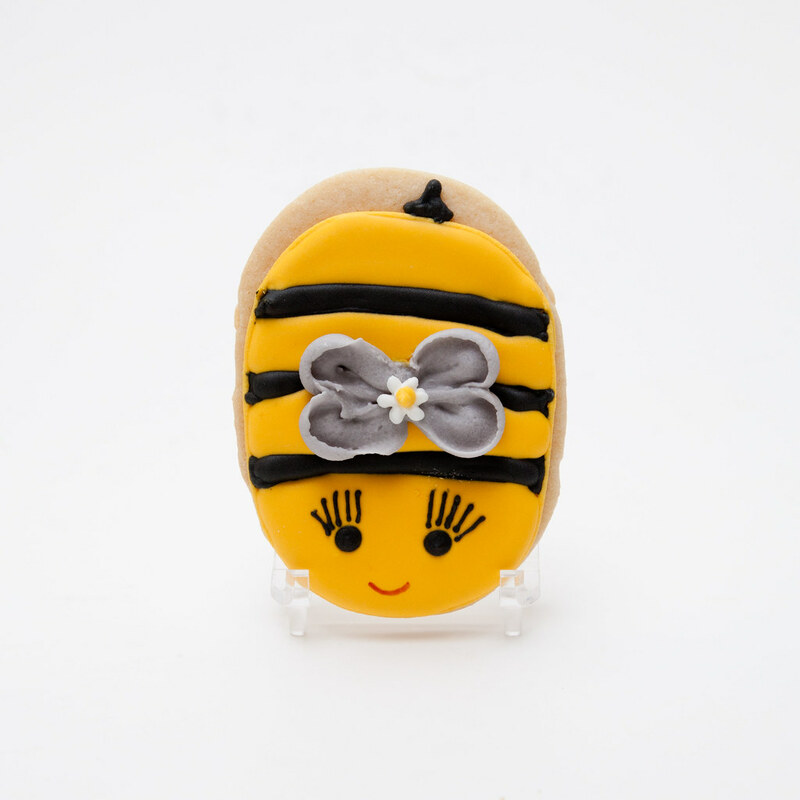 I did these cookies and designed these honeycomb tags to keep the bee theme going. Thanks, Cathy, for another very fun order! !